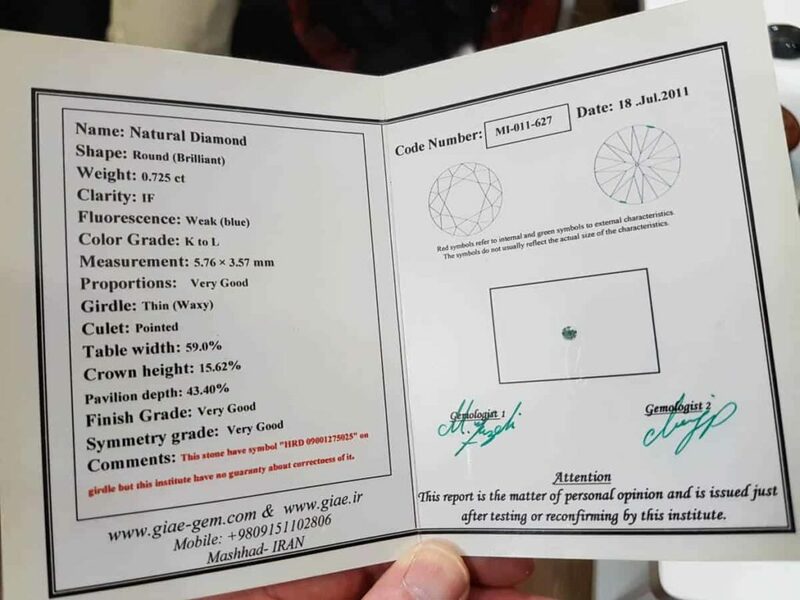 Certificate of authenticity for precious stones. 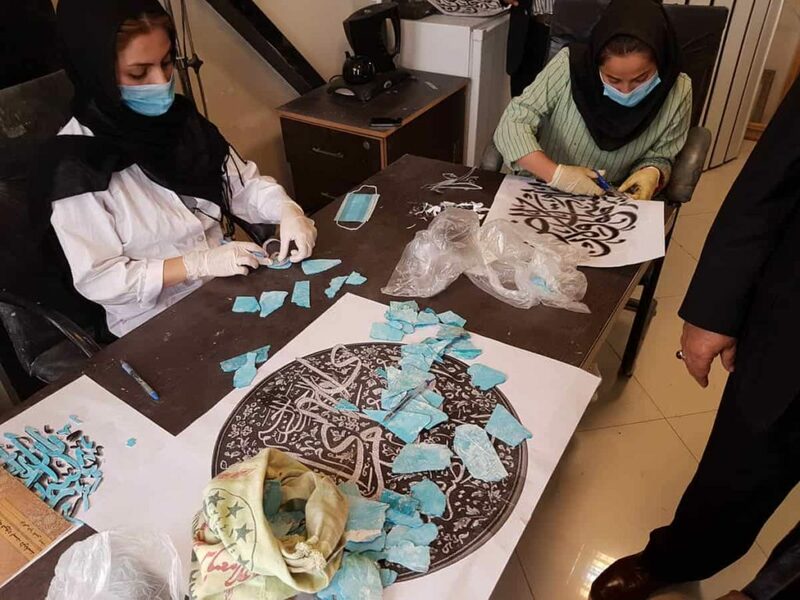 Microscopic analysis of turquoise in Mashhad. 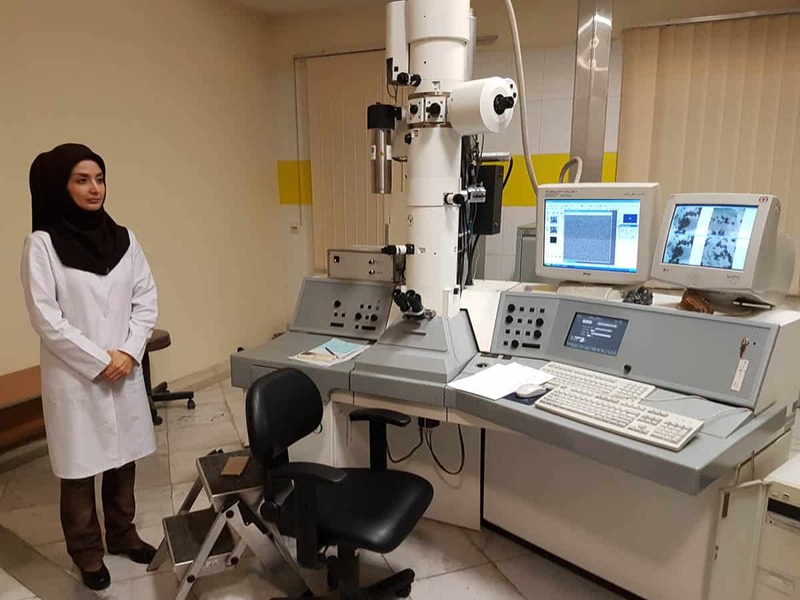 Electron microscope for getting into fine analysis of gemstones. Part of the Imam Reza Shrine, Mashhad. Place Matters is a series of articles about craft ecologies—how communities emerge around a material that is abundant in their environment. Through a combination of collective tradition and individual innovation, this material is transformed into not only a livelihood, but also a source of identity in the world. Across Asia, the ancient Silk Road involved a network of locations specialising in desired products. Weavers, silversmiths, incense makers could concentrate in different towns because of the foreign trade that disseminated their goods. While the Western seaborne empires used colonisation as a platform for their spice trade, the Eastern land-based trade routes were underpinned by a network of alliances, maintained through tribute, a form of “obligatory” gift. This is wonderfully represented in the concept of “the bazaar of the world” (bazaar-i dunya). The Silk Road still exists, though its course has changed. Today it reflects the contemporary Islamic world, following the routes of pilgrims (ziyarat) and tourists. 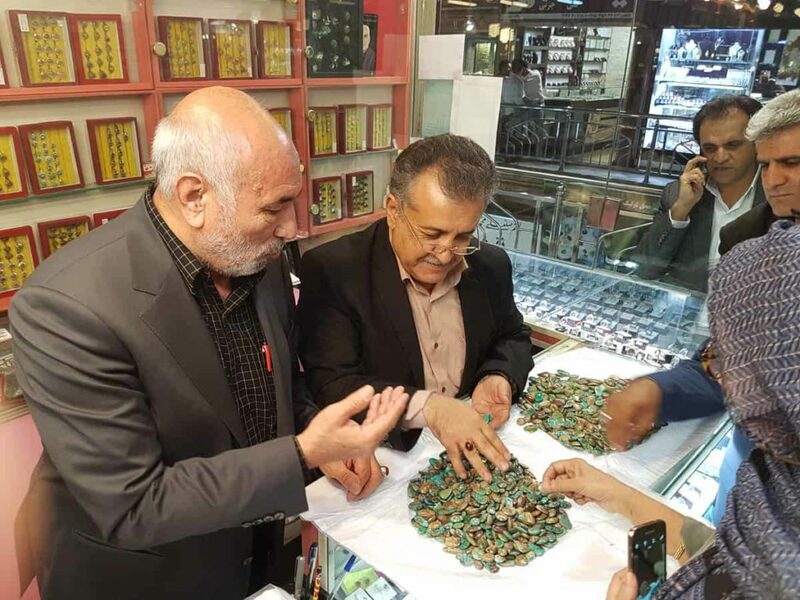 The city of Mashhad continues to be the centre of turquoise trade. 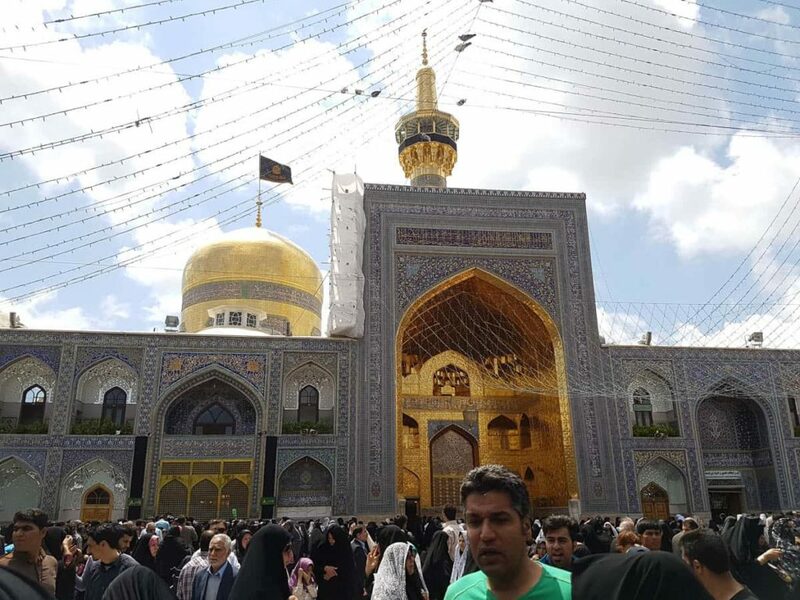 The main driver is the 20 million tourists who come each year, mostly to visit the Shia Shrine of Imam Reza. Mashhad has 55% of all the hotels in Iran—more than 100. 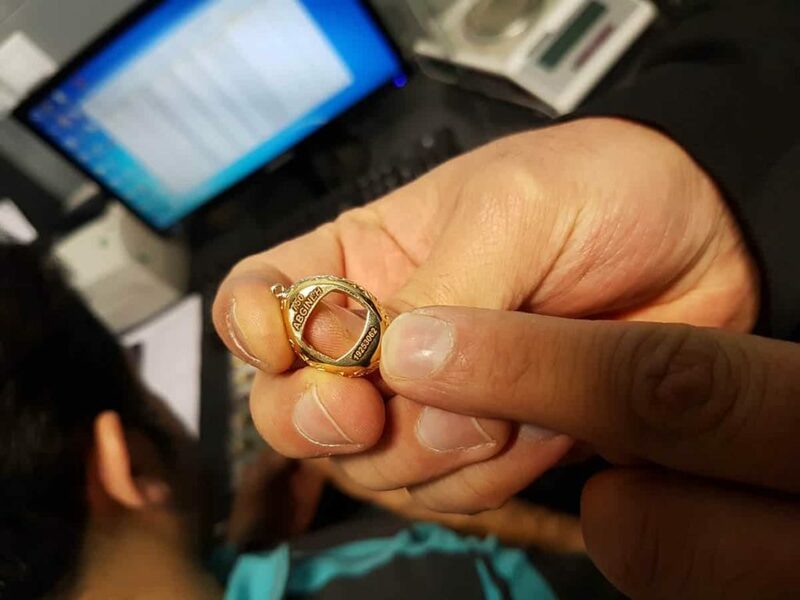 There is no turquoise found in Mashhad itself. But the city is 70 kilometres from the largest turquoise mine in the world, more than 5,000 years old, near the fabled Neyshabur. As Jorge Luis Borges was quoted: “If you wanted to travel to only one city in the world, I have no doubt that’s the city of Nishapur. I think the secret is all in the same universe.” Unfortunately, the city was badly damaged by a series of earthquakes. 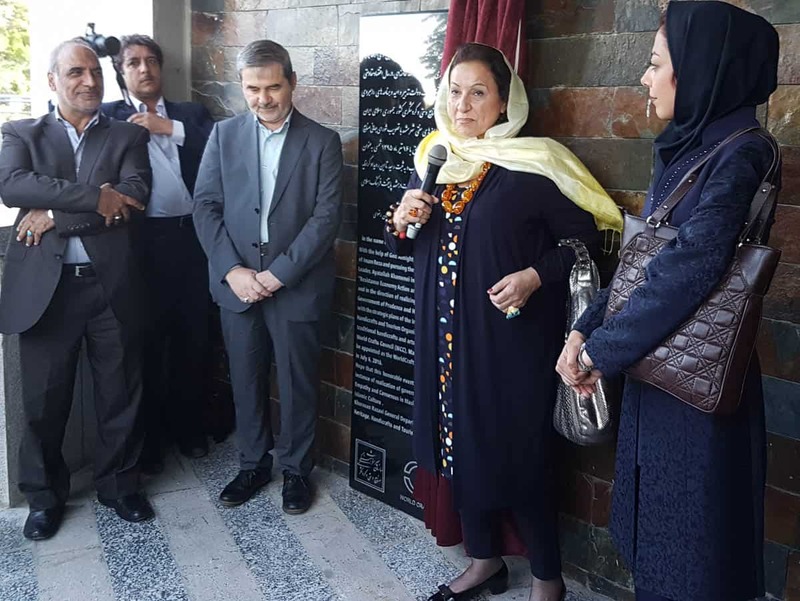 Instead, Mashhad has become the centre of turquoise production thanks to its history as the site of he martyrdom of Iman Reza. Visiting the holy shrine is one of the two main Shi’a pilgrimages (the other is Karbala in Iraq). Turquoise is a key material in Persian history. Its European name derives from the role of Turks in trading this stone to the West. 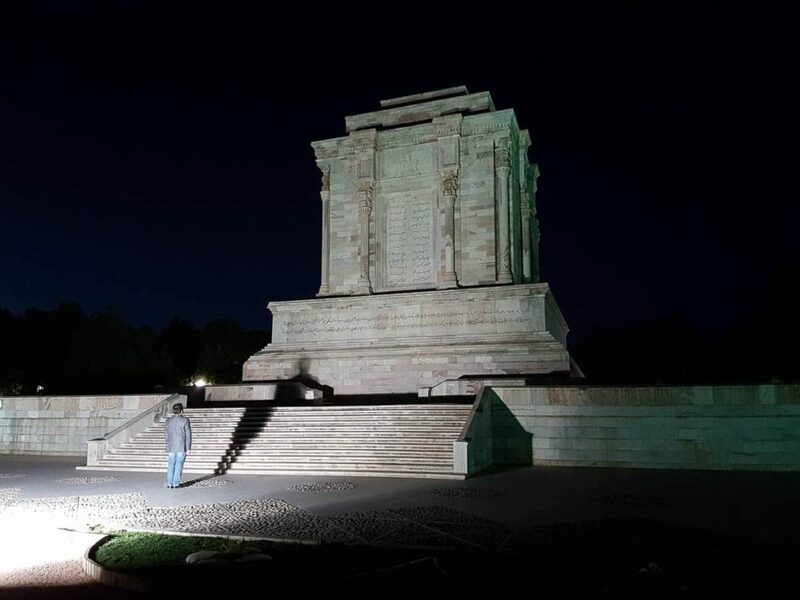 But its origins are in Iran, where is it called firuze, evoking the word for victory (piruze) that it symbolises. In the national epic poem Shahnameh, the regal crown and throne is studded with turquoise. Later, The turquoise Peacock Throne became the symbol of power during the Moghul empire, when it was used for tribute, replacing its trade for European silver. The stone was seen to have mystical powers. While turquoise varies greatly in its blueness, the idea Persian colour reflects the hue found at the very top of the sky (samt al-ras). 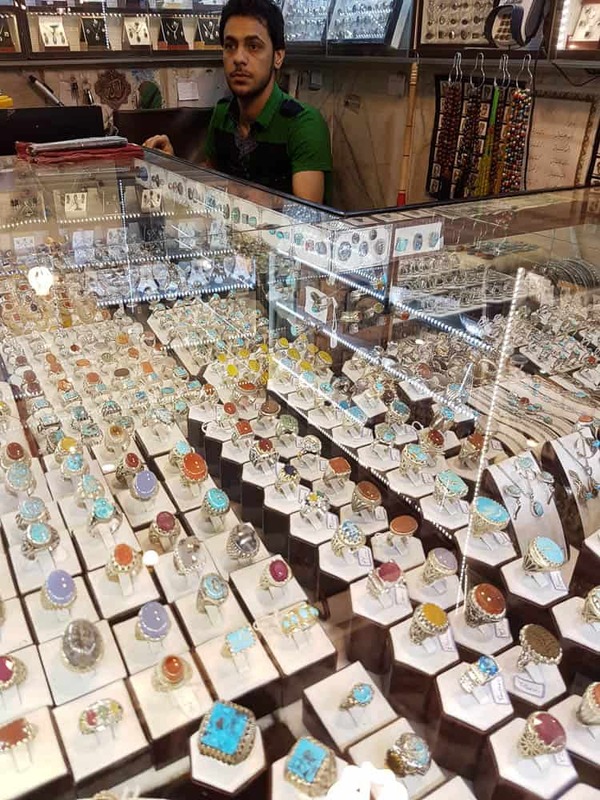 Today, pilgrims purchase turquoise rings from Mashhad for good fortune and protection. The centre of trade is the Mashhad bazaar, which contains 1,100 stores and whose passages stretch over three kilometres. This trade is underpinned by an infrastructure across the city. 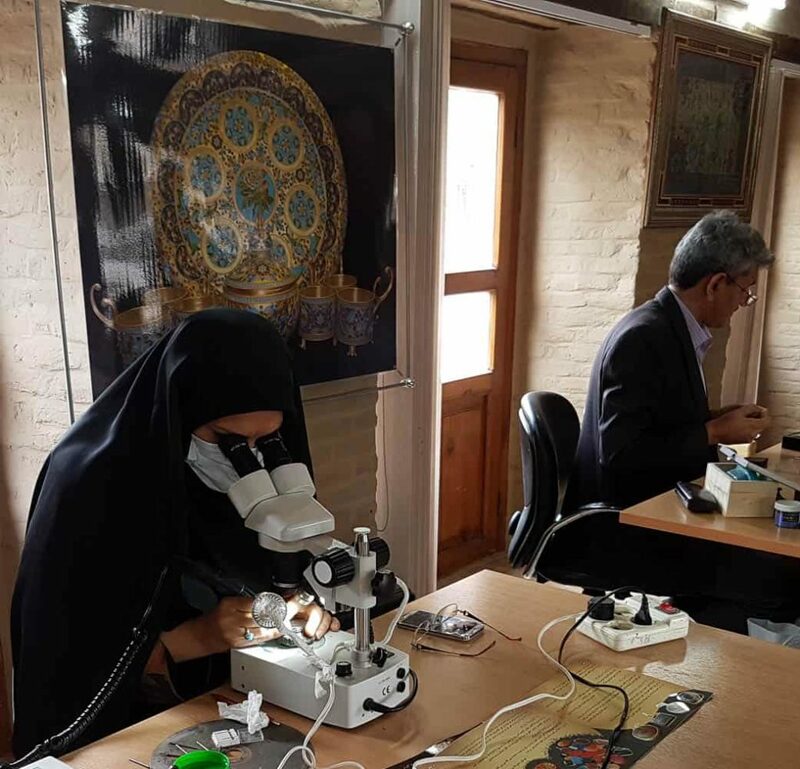 The Ferdowsi University of Mashhad conducts research into gemstones using electron microscopes. Through access to technology has been difficult with the sanctions, they have learned to maintain and repair their own equipment. Currently a theme park Paradise of Geosciences is in development to celebrate the gemstone treasures of the area. The 480 businesses involved in turquoise production and sale are members of the Guild Union of Turquoise and Gemstones. We hear from the head of the union, Mr Rahimi, how he was able to recreate the ancient silk road with a humble donkey. I was born in a village near the turquoise mine, Nishapur. At the age of 11 years old, I went to Mashhad to learn cutting stones. I started in a workshop with seven other students. I was learning for two years, then another two years combined working and studying. After military service at 19 years, I opened a shop. At first, I had no money and just hired a place to do work for others. I was good at it. After five years, I gradually saved enough money to buy my own turquoise and make my own work. I remembered that the next day I went out to visit every single store I could find. I went to airlines, stores, markets from 9am to 3pm. I didn’t eat anything or even say my prayers. When I went back to the hotel, I found that I had not only sold enough to cover my costs, but there was turquoise left over. I ended up going to Kuwait eleven times. Then I started going to Saudi Arabia, where I brought 750 kilos of turquoise. But then there were problems with Iran, so I had to stop. But I had noticed that they had many customers from southeast Asia. With help from the government I went to Indonesia. It took 48 hours by plane. Since then, I’ve been three or four times a year, almost 100 times in total. I take at least 50 kilos of turquoise each time. When I joined the Guild Union, it managed the turquoise mines for the government. But these were privatised in 2003 to make more jobs. Today, the main role of the Guild Union is to give credentials. We authorise stores that are registered for tax, have a clean criminal record, and of sufficient quality. Members must also say where their stones come from. There is cheap imitation turquoise from China coming into the market. Our workers receive around $US 400-$500 a month (around average wage), plus insurance. Turquoise is a wonderful stone. When I look at turquoise, I don’t feel tired any more. I went to Tokyo 26 years ago they bought all my stone after they found it to be a cure for cancer. They put it in a bag and wear it around their neck. Turquoise is god’s gift. 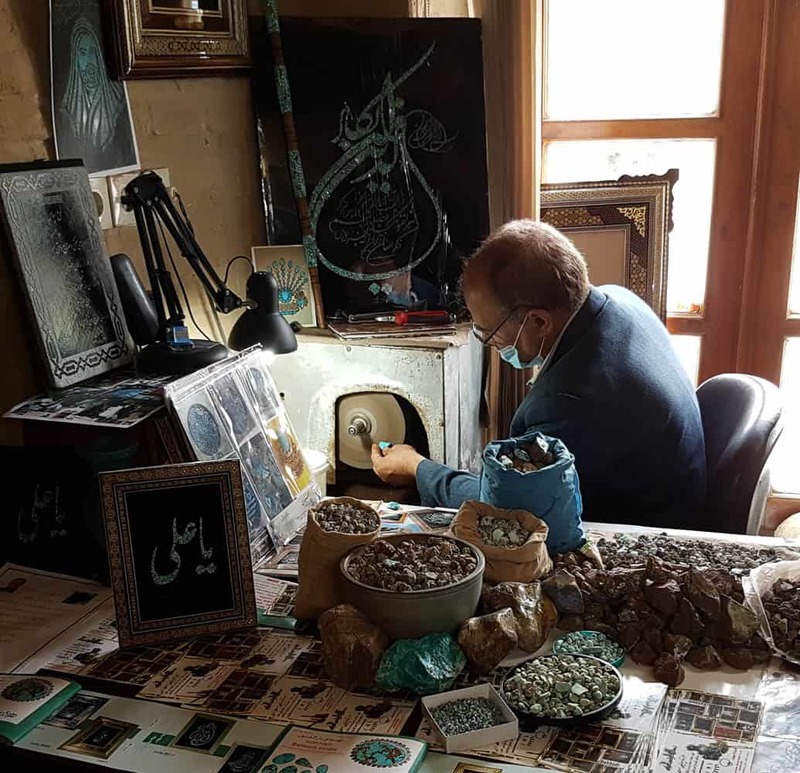 At the famour Albul Raza mind, where they extract the finest turquoise in the world, they give one day’s taking a hear to the Shine of Imam Reza. One year, on that day, they found the largest ever turquoise stone. You can see it hanging in the Shrine today. We’re very pleased to receive the distinction as a World Craft City of Gemstones. This has given our city confidence in its future and there are now plans to build a workshop dedicated to turquoise production. 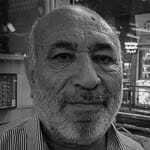 Mr Abdolsamad Rahimi-Moghadam is head of Mashhad Turquoise and Agnate Craft Union.